91cm by 61cm oil and acrylic on canvas. 127cm by 108cm acrylic and plastic figurine on canvas. 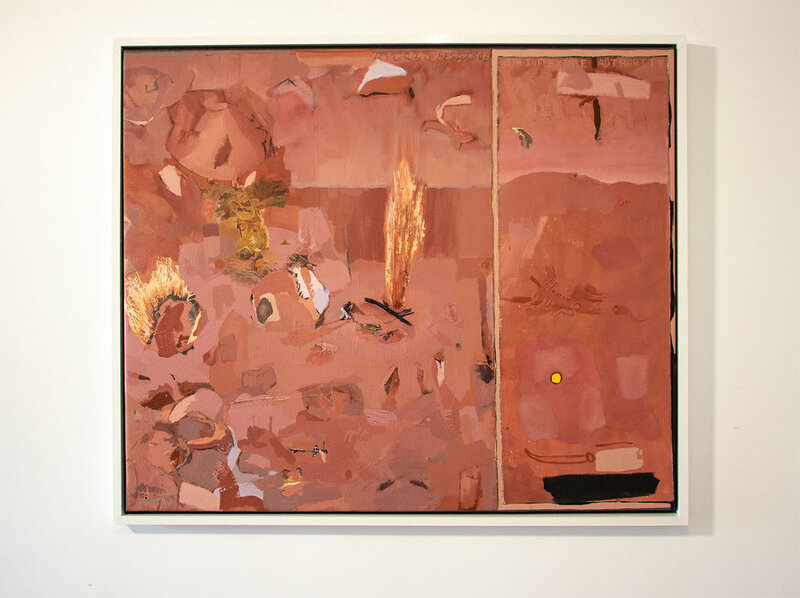 274cm by 122cm acrylic and Flinders Ranges sand on canvas. This piece depicts a 40+ degree day where staying in the shade is a matter of survival. This Outback landscape is coarse and unforgiving but surprisingly dense in wildlife.